Meet George Mullan. George ran his own insurance and investment advisory firm for over three decades before he became an expedite fleet owner in 2008. 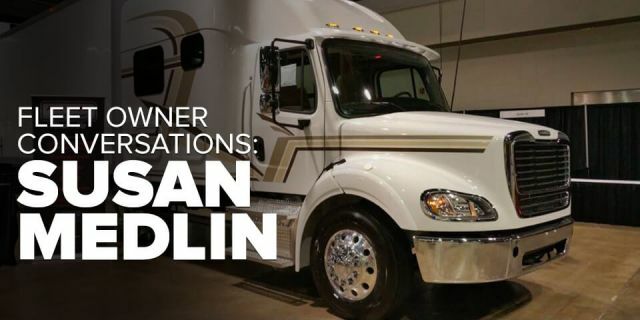 Today, he runs Mullan Transportation based in Maumee, Ohio, operating a fleet of 14 trucks—three tractors and 11 straight trucks—all leased to XPO Logistics Expedite. 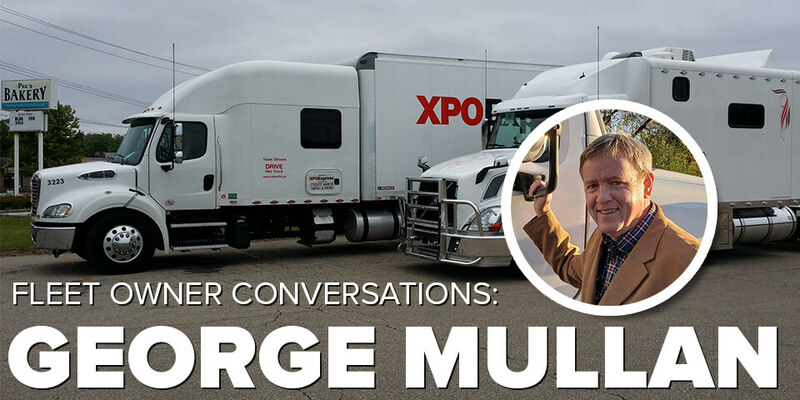 So, what led George to expedited trucking? How did he get started as a fleet owner? And what advice does he have for others who may be considering becoming an expedite fleet owner? EO recently spoke with George to learn more about his story. Here are edited highlights from our conversation. EO: How did you first hear about expedited trucking? George Mullan: That's a funny story. It was about 1998, and I was training a young guy named Brad for the insurance business. Brad was just out of college, and he was meeting with people he knew to sell them insurance. Brad met a gentleman at church and asked, "George, I've got to go out and see him, and he's older. I wondered if you would come with me." We went out together and met with this gentlemen. And after we were done talking to him, it was determined that he was all set—he didn't want any more life insurance. He was just trying to be polite to Brad. “Let me walk you around,” he says. At the time, Tri-State had something like 700 trucks or some ridiculous number. It was back in the late 1990s when there was the boom. He was explaining to me that all these drivers had their trucks, and they go out and do this stuff. He gave me just a real brief explanation. I looked at him and asked, "You mean all of these drivers buy their own trucks and drive all around the place?" He explained fleet ownership to me, and that got me intrigued. That conversation was in 1998. But it wasn’t until 10 years later that you bought your first truck. So, what finally led you to the point where you’re thinking, “Let’s go ahead and give this fleet ownership thing a shot”? I spoke with Greg Hermes, the recruiter at Tri-State. And it wasn't just one day; it was multiple days of me calling and talking. They introduced me to somebody who could help mentor me—Susan Medlin. And then I got onto ExpeditersOnline and really started researching the business. How did you go from initial research to taking action? Fast-forward to June that year. I had already done a lot of research. I'm up in my office at the time and walk downstairs to where my wife, Brenda, was watching television. She looks at me, and then she looks back at the TV, and then looks at me again, and says, "Oh. What's wrong with your car?" She gives me a look like I'm out of my mind and goes back to watching her show. But then I had to find somebody who would loan money to an insurance agent with absolutely no trucking experience to buy a new expediter truck. Luckily, I had a relationship with a credit union in town. They had done all their insurance and 401K business through me. So they knew me personally. But as we got to talking, I realized that I needed to teach him about the business. I explained to him what expedited trucking is, how much money I could make, how much money would pay the bills, how much the trucks would cost to operate, where I would find drivers, and how I would get the repairs done—I mean, I went over everything with him. And he got back with me saying they would loan me the money. How did you know the answers to those questions about costs, driver recruitment strategy, and so forth, if you hadn't done expediting before? A lot of research. I had all these three-ring binders with all kinds of notes in them. I had put together Excel spreadsheets and a business plan. Think about it. If you didn't know a thing about pizza, and you were going to start a pizza shop, you darn well better know what you're talking about when you're talking to a banker—especially to somebody who has never given away a commercial loan before. [The credit union] didn't have a commercial lending department. They certainly had never loaned money to people for trucks or for somebody who's not a truck driver. 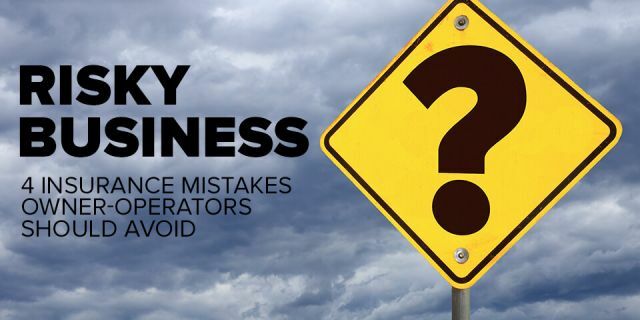 What are the critical challenges that aspiring fleet owners should prepare for? The number one problem I see with people trying to do it on their own is that they don't have enough money. They think that they can just put some money down on a truck and pay 8, 9 or 10-percent interest, and they're going to make all this money. But the reality is that a towing bill can cost $2,600. I know. I just got one. A repair can be anywhere from $300 to $5,000 or more. You've got to have the cash—or credit—to be able to pay for that. The longest I would finance a used truck like that is maybe two or three years. I know that's going to be a ridiculous payment, but most of those trucks don't have any warranty left, and you're going to be paying non-warrantable claims to somebody. All of a sudden, you have a situation where people turn in the truck because they can't afford it anymore. And it's just terrible. It gives the whole industry a bad reputation. It’s been 11 years since you took the plunge into expedited trucking. And now, you operate a fleet of 14 trucks. 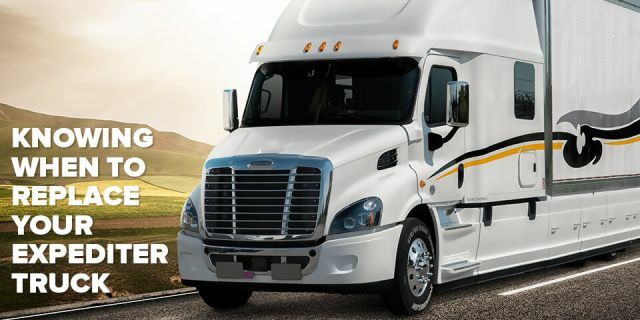 What advice do you have for other people who are interested in fleet ownership? You need the financial wherewithal to get into this business. And you need to build a good team. I felt that if I had the right support system, then I could be successful at this business. And honestly, if I hadn’t brought on a good mechanic and fleet manager who had expertise in trucking, I wouldn’t have been able to make this business happen. I was also very fortunate that I had a relationship with a credit union when I started. And that's what I encourage people to do—build a relationship with where you're going to borrow money from. 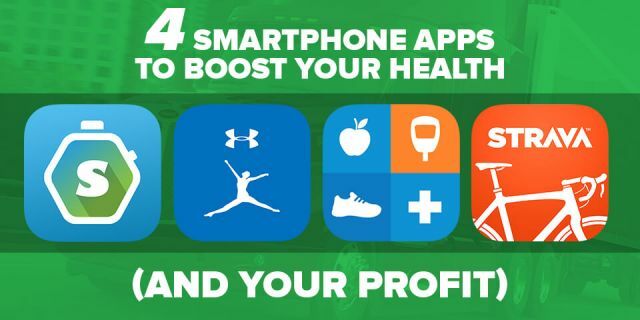 And build a strong partnership with your carrier. Our relationship with XPO, the carrier we’ve worked with since 2010, has been key to our success. I have weekly conference calls with their top people, keeping me up to date on what’s going in the industry and with the company. And they’ve been a huge help in recruiting and retaining good drivers. My drivers are not a number at XPO. They want to know the driver’s name. And that makes a big impression with my drivers. In fact, the biggest lesson I can share is that this business is all about relationships. As a fleet owner, I’ve had the opportunity to work with some wonderful people who are drivers, dispatchers, recruiters and office people at XPO. And I’ve built relationships with numerous truck salesmen and service providers. 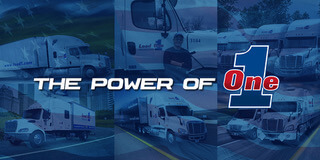 This is not just a trucking business; it’s truly a relationship business.